Imagine trying to move house at Christmas time. This stressful time of year can sometimes be overwhelming – with seemingly endless additional social gatherings, school plays, not to mention shopping for presents, so it is quite surprising that a number of individuals, couples and families decide to push through the festive period, frantically trying to get the keys to their new abode before Christmas day. This heralds the start of a two-week closure of the property industry for most of the holiday period. With determined movers just wanting to get through their new doors, if it’s been a long stressful process the moving day itself could be the easy bit, making it possible to end the year feeling relieved and accomplished. Moving house and Christmas are both stressful events that often need a substantial amount of planning, and it can be quite easy to overlook the seemingly obvious. 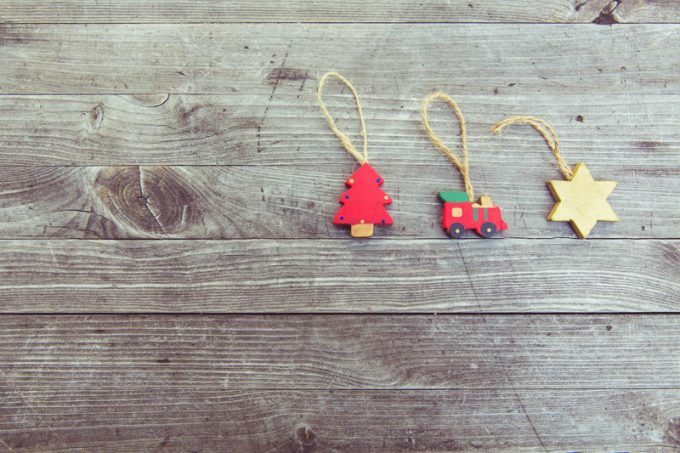 We’re sure if you’re brave enough to go for a Christmas house move you’ve got all bases covered, but read through our check-list for moving house at Christmas! Prepare for Bad Weather- check the weather regularly in the run up to moving day. Salt your house and garage’s drive-ways, paths, and steps to ensure no slippery accidents. On the day itself, wrap up warm, and make sure you have prepped a kettle and picnics for either side of the journey. Plan the Christmas shopping well in advance. Make sure you keep a good routine, and get enough sleep. It is a great idea to make all shopping the online kind, saving the traipsing around empty late night shopping centres. Make sure the children know what is happening and try and get them involved with the organising and packing of their own rooms. Moving Comes First When life is overwhelming, try to ensure that some things take care of themselves. It’s important to accept that Christmas doesn’t need to be picture perfect this year – and that moving, if you’re going to hold out for a completion date before Christmas Day, will have to take total priority. This will be worth it once the removal staff have left and you’re in, ready to open a bottle of champagne. Double check that the utilities for the new place are sorted the other end. This may take a phone call or two in advance but is worth your peace of mind when arriving at your new home – this is important when moving in the Winter, to ensure there isn’t zero heating, hot water, gas or electricity when you arrive! Put the Curtains Up – keep prying eyes away from boxes and unopened Christmas presents! Don’t Forget the Tree! It doesn’t have to be a big one this year, and maybe the last thing you feel like doing after a long day, week or even year, but you’ll feel a real sense of magic if you make sure a pretty fairy-light laden Christmas tree manages to sit proudly amongst the many brown boxes this year. « Moving House? Don’t Forget these Final Checks!